This introduction to the wonders of bats at Enchanted Rock State Natural Area will be geared for kids. Nyta Brown, Natural Resource Specialist for Texas PArks and Wildlife will introduce the wonder of bats; what they eat, where they live, and how their habits help our Hill Country environment. Kids love bats! Bring your children for what is sure to be a great time. Presentation will be held uder the group pavilion from 10-11 am. Plan to stay after the program. You can enjoy picnics in the shade and let the kids play. No limit on attendance. 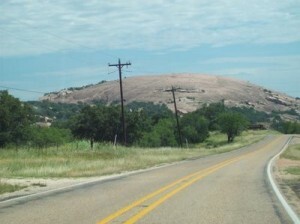 This program is present by Friends of Enchanted Rock. Call 830-685-3636 for details.